Look at the Cleveland Indians, jumping out there, proving I don’t know diddly-poo. The Cleveland Indians have indeed landed their marquee free agent in the wake of going to the World Series, signing Edwin Encarnacion to a three-year contract. The deal is for three years and $60 million, with a fourth-year club option of $20 million or a $5 million buyout, according to multiple reports. As much as I like to poke fun at Cleveland – I have to say – I like the deal. It was initially reported when the season ended that Encarnacion wanted to sign a five-year, $100 million dollar contract. 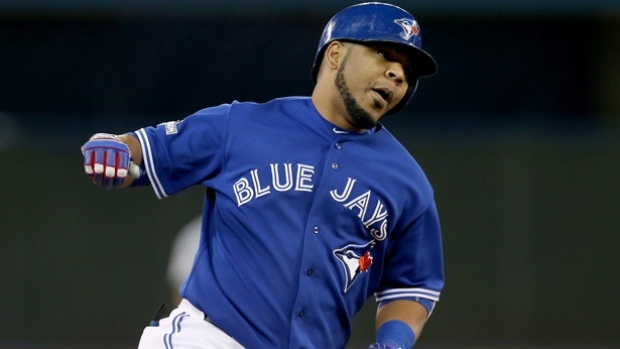 The Indians got Encarnacion to back off that desire for a five-year deal. He will only be 36 when the deal ends, and should remain immensely productive through the life of this contract. And of course, Edwin can now afford a whole lot more Benihana (plus tips! ).